I’ve playing around a lot with DMG backlight lately. After I tried out the inversion hack on my guinea pig boy, I installed the hack on my regular one as well, but without a switch, and flipped the polarization layer of course. (The whole point of the hack is to uninvert the screen after flipping the polarization layer) This gave it more contrast, but then Bibin gave me a tip that so called “kelly green” coloured LEDs would work perfectly for a DMG backlight when using the inverse polarization layout, since the dark areas would completely block that green wavelength, whereas a large portion of white light will pass through even the dark areas. 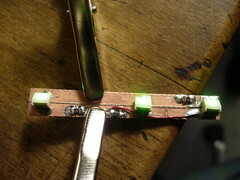 I believe that “kelly green” is the same LED type as “true green”. 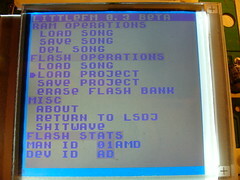 The LEDs in this eBay auction are suitable for the job, if you want to build your own backlight using this method. 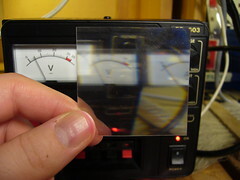 The left picture is a Nonfinite backlight with an inverted polarizer. (And of course a 74hc04 screen inverter to uninvert the image) It has white LEDs which is atcually a bad idea for use with a monochrome LCD. Light pixels will conduct all wavelengths of light pretty evenly. Dark pixels on the other hand block green light but will still pass through a considerable amount of blue light. 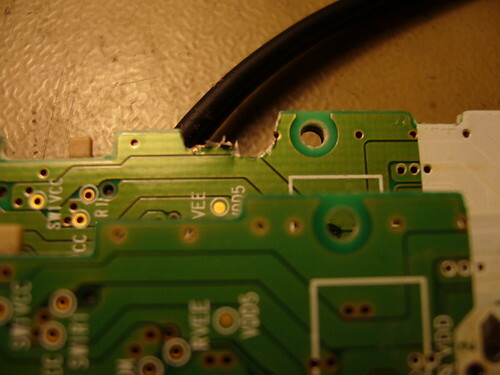 Add to that the white LEDs commonly used are actually blue LEDs with phosphor to produce other wavelengths. Read about it on Wikipedia. Because of this, white LEDs will have a much higher concentration of blue light compared to other wavelengths, which doesn’t exactly help getting contrast and gives the dark areas this purple colour. When using the green LED on the other hand, you only get one wavelength of light, which is almost perfectly blocked by dark pixels, giving you great contrast. 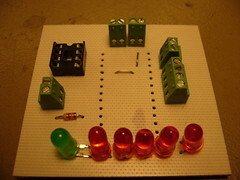 I needed a circuit board to keep the LEDs in place. 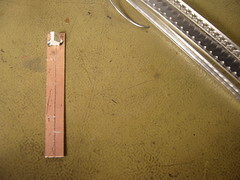 It seemed like a waste to make a printed board a one-off piece of such a simple board, so I simply cut the needed traces and soldered components onto a copper laminate. 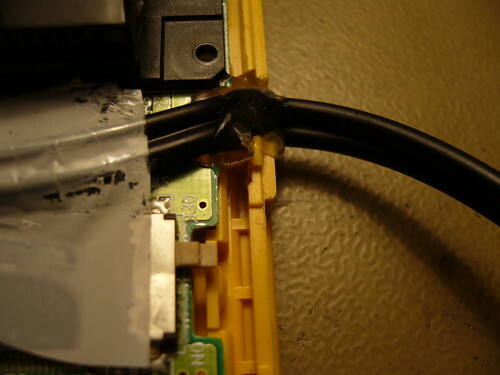 I connected it to the screen daughterboard with a relatively thick single strand wire which also keeps the board in position. 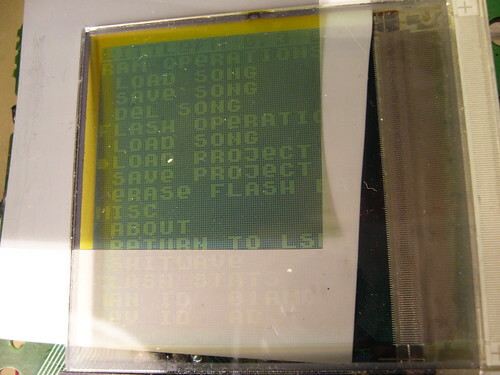 And so a word about the layers used behind the screen… Lightboy made a thread on 8bc describing his backlight method. When seeing his desciption of the layers I was unsure what the layers were, but now that I have a complete backlight unit from a computer screen I have investigated the layers, so here’s an explanation of what the different layers are. 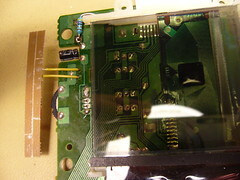 The bottom layer, not pictured, is the reflection layer. 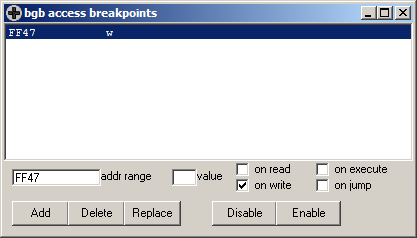 In this screen it was blank white plastic, as opposed to a silver colored mirror. 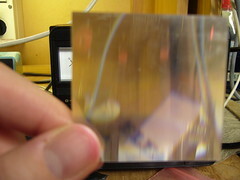 The next layer, as pictured above, is the diffusion layer. Its job is to lead the light from the light source at the side and distribute it evenly upwards. It does so by small bumps in the bottom of the layer. The world has seen better Dremel jobs, but I suppose it works. 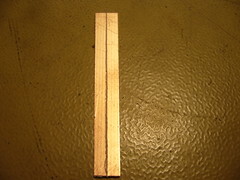 This layer is also a couple millimeters thick, which created problems, see the bottom of the post. The top picture may look like something straight out of The Twilight Zone, but it’s in fact my favorite layer of the five, the growth foil. What it does, as far as I can tell, is to collect light from two directions and send it up. There are two versions of this layer stacked, one that collects light vertically and one thta collects light horizontally. The top picture is me holding one hand in front of a lamp, which the layer duplicates because it collects light from two directions. I ought to cut of pieces of those layers and make trippy sunglasses out of them. The blur foil is simply a foil of “brushed” plastic to even out the light distribution. 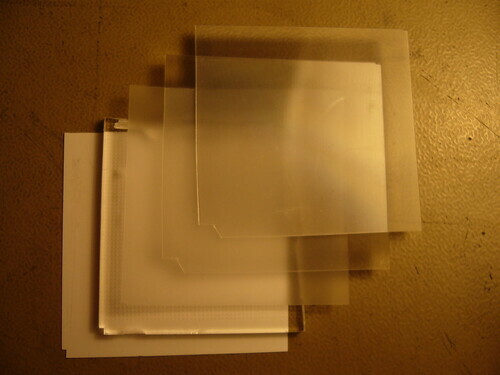 The topmost layer is the polarizing layer. 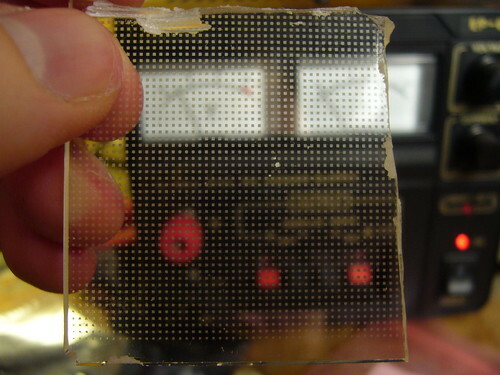 To understand what this layer does you need to understand what polarization is and how it works. Read about it on nobelprize.org. I’m not really satisfied with the outcome. 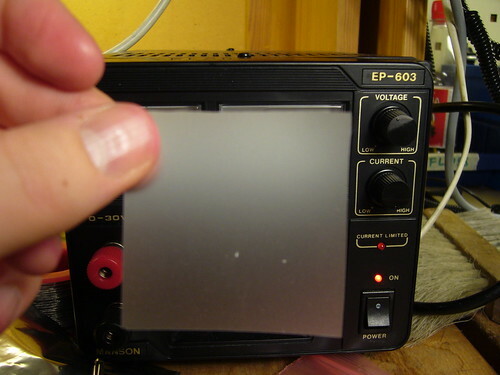 This backlight has a flaw… The diffusion layer is too thick, which creates pressure on the LCD and creates differences in contrast in the areas that are under stress. 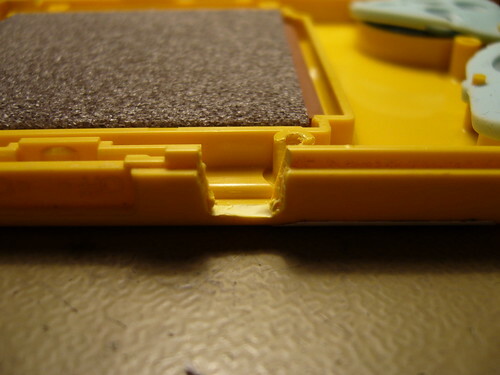 And the layers are unaligned, creating a dark gap in the top of the screen. 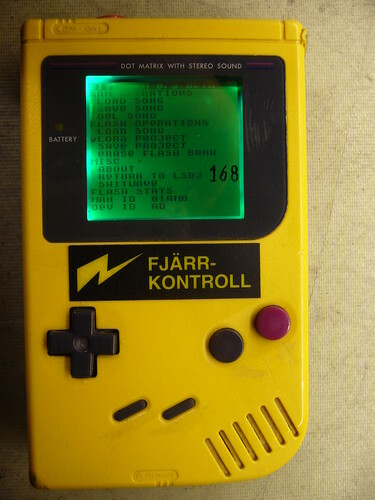 I can fix all those things however, and when that’s done I think this is the backlight design I’ll finally stick with. 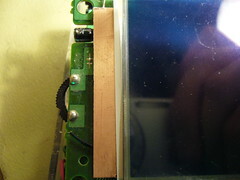 I will also try to see if I can replace the white LEDs in my Nonfinite backlight panel, to use the green ones I have now. Recently there was a discussion about on 8bc about a new way of backlighting DMG’s. 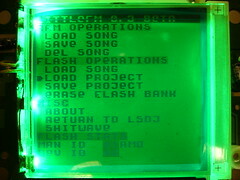 Bonewire’s backlighting method replaces the batteries with two 9V batteries. 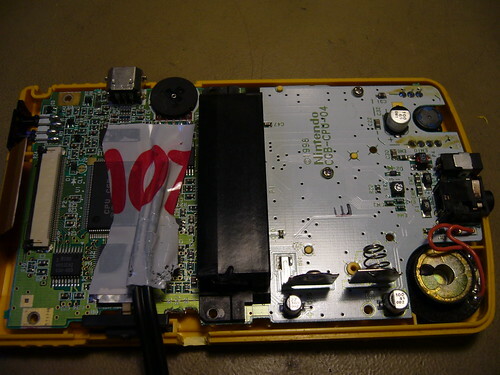 This raised the discussion of whether you could power the Gameboy directly with a 9V battery, or whether it would explode/otherwise fail. 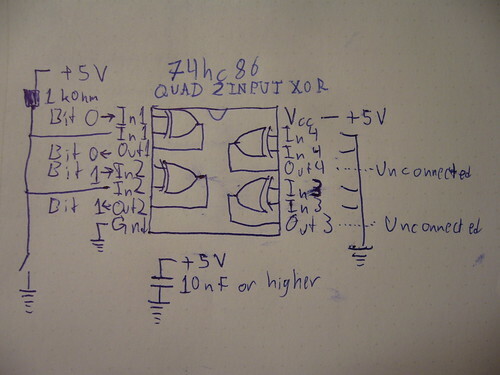 I wrote a post about the inner workings of the regulator and promised to come back with some more measurements of the performance of the regulator at different voltage levels. 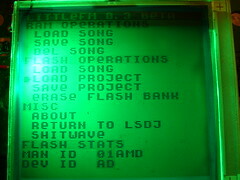 I used a xzakox type flash cartridge loaded with LSDj, playing a melody, with power save set to off. 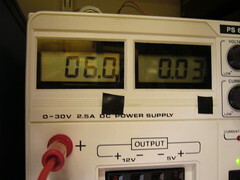 Vout was measured with a multimeter and is accurate. DC/DC control RMS/f This value is also a bit hit and miss. 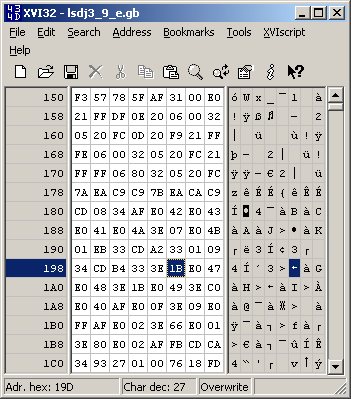 I tried to read out the frequency which the DC/DC converter was working at, from the oscilloscope, to the best of my ability. This value fluctuated a lot, and is also just there to give a general picture of the freqeuncy. 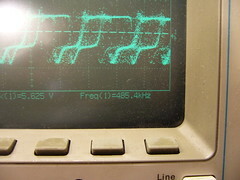 At the lower values the oscilloscope was unable to detect the frequency at all. That is what the cryptic RMS voltage is there for. It should give a rough idea of the duty cycle of the control wave. Notes These are my observations for some of the voltages. 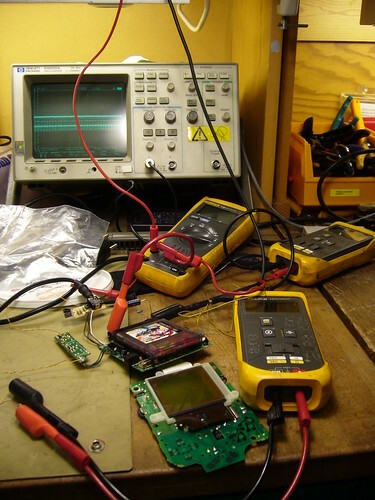 The first interesting observation is the behavior in the low end of the voltage spectrum. 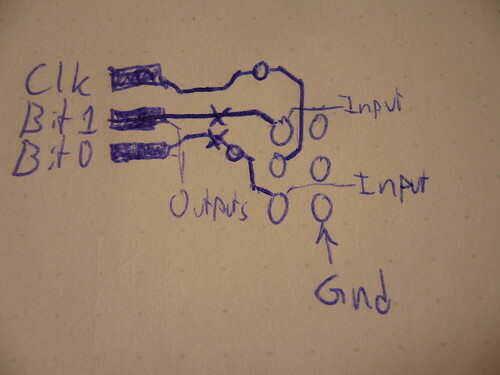 The regulator could manage to keep the CPU alive at an input voltage as low as 1.5V. 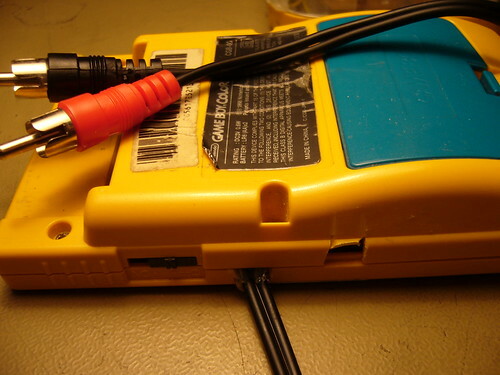 However, at that voltage there were significant power losses in the conversion, sound wouldn’t work and the Gameboy would crash easily. At the transition 2.5V->3V you can see a significant change in input current, and I also noticed a change in behavior on the oscilloscope. 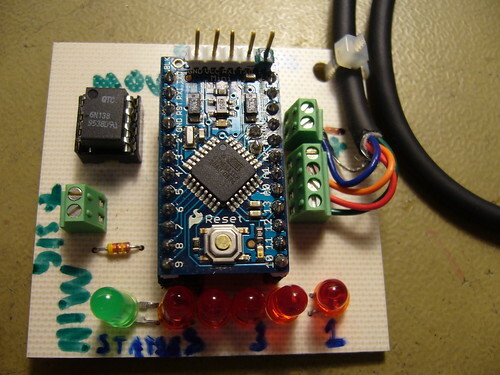 I’d define 3V as the absolute minimum voltage that the regulator board can handle stable. 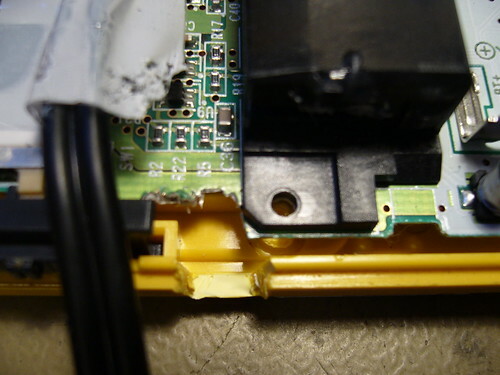 Sidenote: This possibly opens the door for using a Li-Ion battery for powering a DMG. 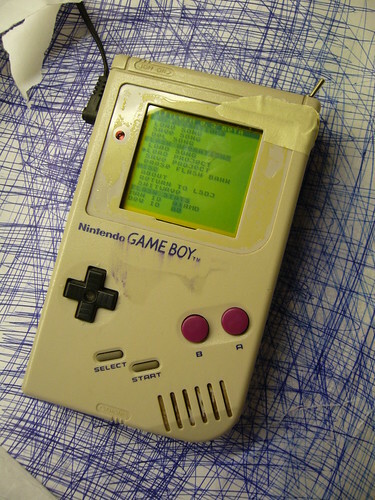 At 4.0 V the Gameboy is definitely operating normally. As the input voltage is increased, the switching frequency is increased of the regulator is increased. No abnormal behavior. 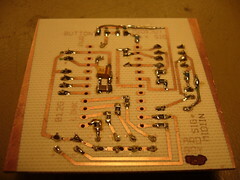 At no point during the testing did I notice and excessive heat production in the regulator circuit. 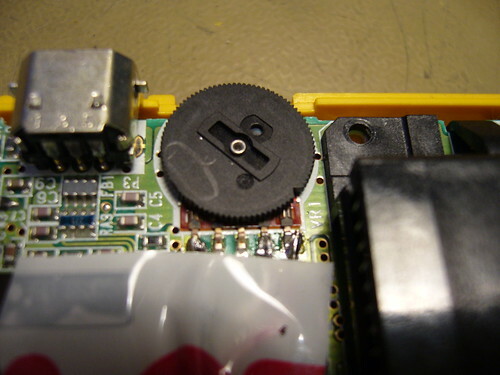 4 AA batteries can not reasonably produce voltages higher than 7 V, so anything above that could be seen as outside the standard range of operation. So what are the effects of voltages above 7 V? The regulator itself seems to handle it fairly well. 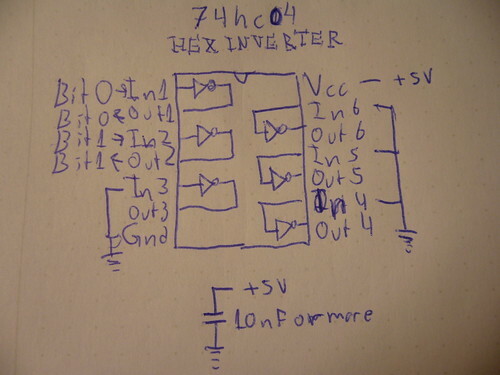 And the +5V output only fluctuates 100 mV, so the CPU won’t be affected. 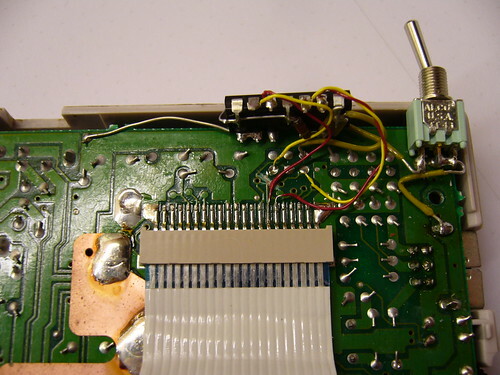 However, while the +5V is regulated, the -18V line used by the LCD is not directly regulated, but instead current limited by a 510 Ohm resistor. 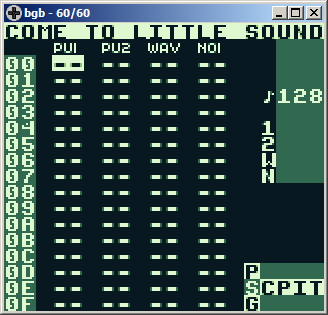 I tried feeding my known good Gameboy with 9V for a few minutes, with a moderate contrast setting, without any problems. 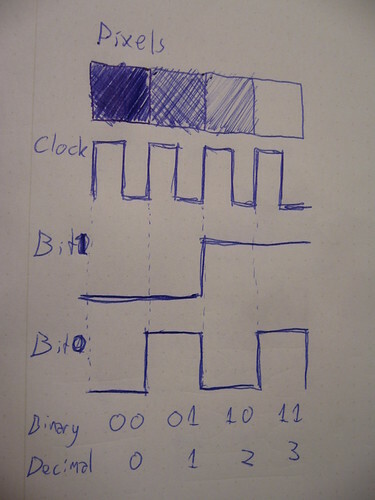 However, it’s possible that the extreme positions of the contrast dial will slowly destroy the LCD, when the input voltage is >7 V. If so, it could probably be fixed by changing the control voltage range for the contrast dial. 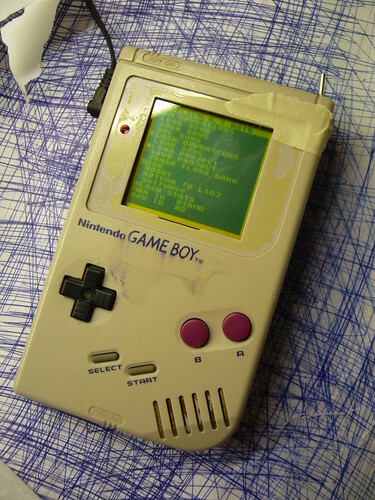 I’ll have to investigate that further, but my preliminary conclusion is that you can feed the Gameboy with a 9V battery without problems. 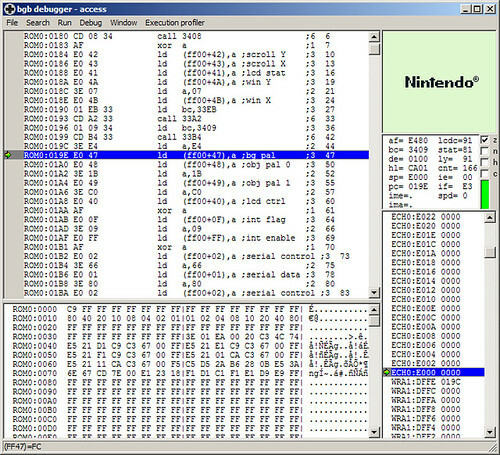 This page was previously hosted on http://gameboygenius.8bitcollective.com/wordpress/category/gameboy/ (*).